Sponsorships are selling quickly for the 16th Annual Southern California Transportation Summit on Friday, Sept. 29 at the Disneyland Hotel. Click here to view more information about the sponsorship packages or contact Kristin Slocum to sign up. Members of the Mobility 21 delegation kicked off a full day in Sacramento during a meeting with Caltrans Director Malcolm Dougherty and CalSTA Undersecretary Brian Annis. This week, Mobility 21 led a delegation of 40 public and private sector transportation leaders to the State’s Capitol to meet with top ranking officials to support Southern California’s need for investment in transportation. The trip coincided with the announcement of a landmark transportation funding proposal, the Road Repair and Accountability Act of 2017, SB 1 (Beall), which would invest $52.4 billion over the next decade – split equally between state and local investments. 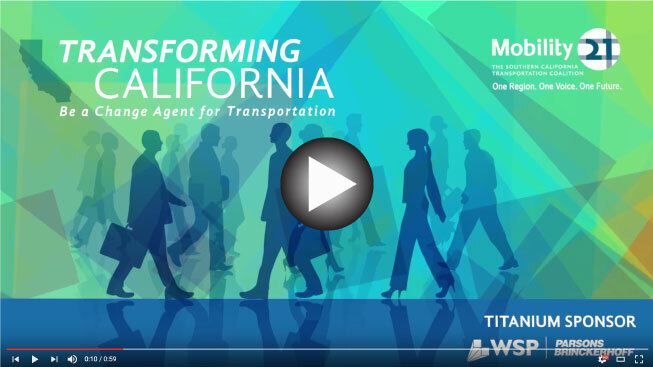 More than 100 high-level public and private sector leaders in the transportation industry joined Mobility 21 at the 3rd annual Sacramento Legislative Reception at the Citizen Hotel on Monday, April 3 to honor California’s state leaders and dignitaries. Brad Kuhn is a partner at the law firm Nossaman LLP, where he serves as the Chair of the firm’s Eminent Domain and Valuation Practice Group. 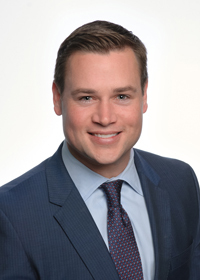 Brad is widely known as a leader in the field of right-of-way acquisitions for California’s most critical infrastructure projects, with a unique ability to advise public agencies on creatively resolving complex land acquisition and valuation disputes. His early involvement ensures projects are delivered on schedule and under budget, and he routinely saves his clients tens of millions of dollars through thoughtful property acquisition delivery and right-of-way planning. Some of the infrastructure projects Brad has actively worked on include LA Metro’s Purple Line Westside Subway Extension Project and LAX/Crenshaw Transit Corridor Project, the Exposition Light Rail Transit Project, SANDAG’s Mid-Coast Corridor Transit Project, and SBCTA’s sbX E-Street Corridor Bus Rapid Transit Project and Downtown Passenger Rail Project. He also has overseen numerous other transportation and utility transmission projects. Brad’s accomplishments have been profiled in numerous publications, including being named to the Daily Journal’s Top 20 Under 40 list, a recognition given to the top 20 lawyers in California that are on the cutting edge of legal issues, and who are making an impact on changing an industry, region or society, and being chosen for individual recognition by Chambers & Partners, the guide to the world’s best lawyers. He also has been recognized as the Top Rated Lawyer in Land Use and Zoning by the American Lawyer. He earned his undergraduate degree from the University of Southern California, and his juris doctorate from Chapman University School of Law. He lives in San Clemente with his wife Nicole, and their two sons, Preston (6) and Jack (4). Dr. Allison Yoh is Director of the Transportation Planning Division in the Planning and Environmental Affairs Bureau at the Port of Long Beach. She began her Port career in June 2013 as a transportation policy specialist, was promoted to manager in February 2015, and named division director in March 2016. As director, she leads the review and analysis of transportation-related policies; conducts regulatory and legislative analysis; provides expertise in developing regional, state and national transportation policy; oversees Port transportation planning studies; assists with managing Port-related traffic in support of Supply Chain Optimization efforts; seeks and administers grants and other funding, and represents the Port on transportation-related matters before various audiences at public meetings, including local, regional and statewide stakeholder groups. 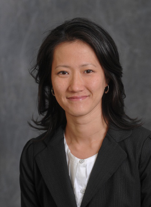 Prior to joining the Port, Dr. Yoh was associate director for the Institute of Transportation Studies, and for the Lewis Center for Regional Policy Studies, at the University of California, Los Angeles, where she co-directed the two research centers focusing on transportation policy. Earlier in her career, Dr. Yoh was an adjunct researcher at the RAND Corporation in Santa Monica and served as a mayoral appointee to the board of directors of the Los Angeles County Metropolitan Transportation Authority (Metro). She has also served as an advisory member for the Los Angeles County Measure R Oversight Committee and on the Mayor’s Transportation Task Force on Congestion for the City of Los Angeles. She holds a Doctor of Philosophy and a Master of Arts degrees in Urban Planning, both from the University of California, Los Angeles. She also earned a Bachelor of Arts degree in Anthropology from the University of California, Berkeley. Dr. Yoh has published numerous peer-reviewed articles, authored professional reports and delivered presentations on subjects including the effects of wait time on public transit travelers, the adoption of smart technologies for transit fare policy innovations, and green planning for bicycles at the Port. She is a member of the Ports and Channels Committee of the Transportation Research Board of the National Academies of Science. Long Beach Councilwoman and Vice Mayor Suja Lowenthal presented Dr. Yoh with a Steward of the 2nd District award in 2015. Frequently called on by the news media for her expert opinion, her quotes have been included in the Los Angeles Times, La Opinion, LA Weekly, CityBeat and others. Her televised interviews include appearances on Canadian Broadcast Corporation (CBC) World News, The Today Show on NBC, NBC Nightly News and other local television media. A full crowd of community members, transportation professionals and dignitaries joined together for a dedication ceremony of the 91 Project in Riverside County. The Riverside County Transportation Commission’s (RCTC) new 91 Express Lanes and general purpose lanes opened on March 20 following a weekend of final construction activities to prepare for the much-anticipated opening. The project extends the Orange County 91 Express Lanes to Interstate 15 in Riverside County, adding eight miles to the system. The project also adds a new regular lane in both directions on the 91 between the 71 and I-15, as well as auxillary lanes, new interchanges, bridges, ramps and local streets. During the weekend before the opening, crews reopened the westbound Maple Street off-ramp, reinstated two-way travel across the Maple Bridge, completed the widening of the Lincoln Avenue Bridge, repaved various sections of roadway, restriped the roadway to allow motorists to enter and exit the new lanes, installed the delineators to separate the 91 Express Lanes from general purpose lanes, made electrical connections, and completed testing of the tolling system. RCTC will be monitoring and adjusting toll rates during the next few weeks of operation to achieve “free-flow” travel for lane users. Adjustments also will be made to the timing of traffic signals and ramp meters to assist with travel movement. Motorists should exercise caution near the entry and exit points, since the lane configurations have changed. Drivers should watch for lane markings and not cross over solid double white lines in these transition areas. New account holders will receive a week of free tolls or two weeks of free tolls with a valid AAA membership. Existing account holders will receive a $25 account credit for referring a friend who opens a new account. To open a 91 Express Lanes FasTrak® account, view toll rates and policies, receive information about carpool discounts for vehicles with three or more occupants, view a map of the facility or obtain more information, please visit 91expresslanes.com, call the Customer Service Center at 800-600-9191 or visit the Customer Service Center at 2275 Sampson Avenue, Suite 100, in Corona. Final construction activities will continue and periodic closures can be expected through the fall. Information will be available on the project website, sr91project.info, the project helpline, 877-770-9191, the project email sr91project@rctc.org, and social media. RCTC’s $1.4 billion 91 Project extended the 91 Express Lanes eight miles to Interstate 15 in Riverside County, added general purpose lanes between the 71 and I-15, and provided a tolled express connector between the 91 and I-15. The project also built or widened 32 bridges, improved five interchanges, and realigned and repaved local streets. Construction began in July 2014. The project used an innovative design-build method, which accelerated project delivery by three to four years. Typically, a project of this size and complexity would take approximately seven years to build. Metro will provide Dodger Stadium Express bus service from Union Station in downtown Los Angeles to Dodger Stadium for the 2017 baseball season. The service is provided to all home games under a grant from the Mobile Source Air Pollution Reduction Review Committee (MSRC). In addition, Metro and Metro ExpressLanes will offer Dodger Stadium Express service to the ballpark from Harbor Gateway Transit Center, which serves the South Bay area with buses traveling in the Metro ExpressLanes along the I-110 Harbor Freeway. The MSRC awards funding within the South Coast Air Basin from a portion of the state vehicle registration fee set aside for mobile source projects that result in emission reductions from cars and trucks. Funding for the Harbor Gateway Transit Center service is being provided by Metro’s ExpressLanes Net Toll Reinvestment Grant Program. The Dodger Stadium Express bus service has transported more than 1,225,188 fans since beginning in 2010. During the 2016 season, more than 225,000 fans rode the bus to Dodgers’ games. Thanks to funding from the MSRC, fans with a ticket to the game can ride the Dodger Stadium Express for free; those without a ticket must pay the $1.75 fare from Union Station or $2.50 fare from Harbor Gateway. Service from Union Station will be provided starting 90 minutes prior to the start of the games and ending 45 minutes after the close of the games. Service from the Harbor Gateway Transit Center will be provided beginning two hours prior to the start of the games and ending 45 minutes after the game is over. The Dodger Stadium Express from Union Station will pick up Dodger fans every 10 minutes in front of Union Station near the Mozaic Apartment complex. Service will continue to Dodger Stadium via Sunset Boulevard and Cesar Chavez Avenue. Passengers will be let off and picked up at one of two stops, either behind center field or at the top deck. From Harbor Gateway Transit Center, baseball fans can board buses located at Bay 9, with buses running every 20 minutes. Fans will be dropped off behind right field at Dodger Stadium. Buses back to Harbor Gateway Transit Center will pick up patrons at the same stop after the game. Dodger Stadium Express service includes a dedicated bus lane on Sunset Boulevard, where game day traffic congestion is the heaviest. Thanks in part to funding from the MSRC grant, Metro is partnering with the Los Angeles Department of Transportation (LADOT) for traffic mitigation support that will help expedite trips to and from games. The Los Angeles Dodgers are working closely with Metro to ensure a high level of awareness for this service to Dodger Stadium and plan to continue to promote the service to fans during each game. 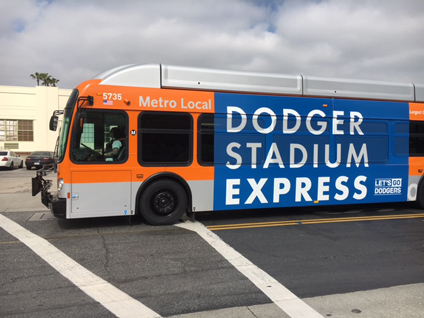 The Dodger Stadium Express bus service will be provided by Transdev Transportation, Southland Transit and MV Transportation, firms that are under contract to Metro. Patrons are encouraged to use the many transportation alternatives that serve Union Station to connect them with the Dodger Stadium Express. Metro operates the Metro Gold Line from East Los Angeles to Azusa, the Metro Red/Purple subway lines from Wilshire/Western and North Hollywood to downtown Los Angeles and the Metro Green Line between Norwalk and El Segundo, which intersects with the Metro Blue Line operating between Long Beach and downtown Los Angeles. In addition, the Expo Line from Santa Monica to Downtown Los Angeles offers those on the Westside great service to connect to the Dodger Stadium Express at Union Station. The Harbor Gateway Transit Center is served by several Metro bus lines, the Metro Silver Line and Torrance Transit. Baseball fans will again be able to hop aboard the Angels Express train this season to quickly get to and from Angels games. The special Metrolink train service, in partnership with the Orange County Transportation Authority, allows fans to avoid traffic jams and save on gas and money by skipping the car trip and parking fees. Service to Anaheim’s ARTIC station, immediately adjacent to Angel Stadium of Anaheim, will run along the Orange County Line – from Los Angeles Union Station and from the Laguna Niguel/Mission Viejo station – for weeknight home games starting at 7:07 p.m.
Service from Riverside County is also available for Friday night home games, with a transfer at the Orange train station to Anaheim. Angels Express trains arrive at least 30 minutes before the first pitch and the return trains leave 30 minutes after the final out. The regular price is $7 round-trip, tickets for seniors and disabled riders are $6, and children ages 6 to 18 years are $4. Children 5 and under ride free with an adult fare. 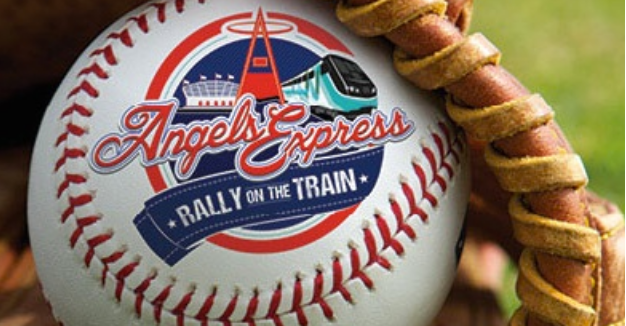 To celebrate the start of the regular season, OCTA is hosting a pre-game Kickoff Rally at the Irvine Metrolink Station, 15215 Barranca Parkway, on Friday, April 7, prior to the Angels home opener against the Seattle Mariners. The kickoff celebration begins at 4:30 p.m. and will feature free music and prizes. Angels Express trains will depart Irvine for the game at 5:17 p.m. and 6:05 p.m.
Last year, more than 42,000 fans got to an Angels game by using the service, which is made possible again this season by a $250,000 grant from the Mobile Source Air Pollution Reduction Review Committee. Throughout the season, OCTA will be giving away free prizes and some Angels Express tickets and offering special deals. Fans are encouraged to check the website often to participate. For more information on those give-aways and on train schedules to games, visit AngelsExpress.net. The Southern California Logistics and Supply Chain Summit is the premier annual event that addresses the entire Southern California network of logistics and supply chain interconnectivity within Los Angeles, Orange County, San Diego and the Inland Empire. From the ports, to the railways and trucking, to air cargo and warehousing – Southern California is like no other region in the country. 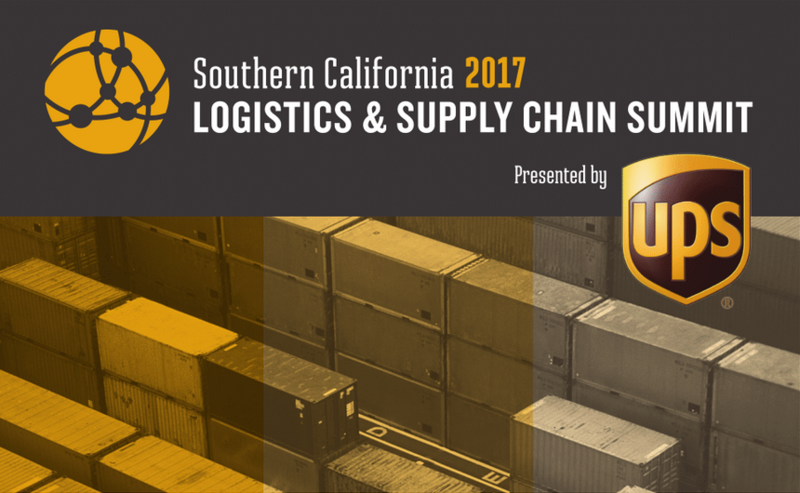 Many of the region’s top logistics and supply chain leaders will gather on April 20, 2017 at the Sheraton Fairplex Conference Center in Pomona – the epicenter of this vast region – to discuss the current state of affairs as well as the future trends that will impact Southern California’s ever expanding logistics and supply chain network. SCAG Regional Conference and General Assembly Agenda Now Available Online! An updated program agenda is now available for the 52nd annual Regional Conference and General Assembly, to be held May 4-5 at the JW Marriott Desert Springs Resort & Spa in Palm Desert. The conference, “Innovating for a Better Tomorrow,” will include thought leaders and special guests to discuss some of the region’s most pressing issues, such as housing, the social and economic impacts of technological progress and automation in the workplace. 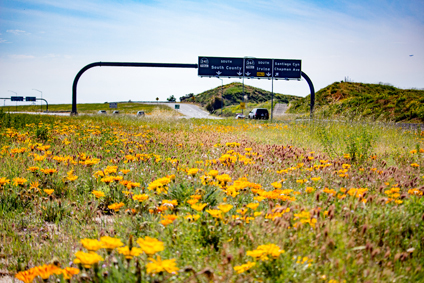 For a quarter century, the Transportation Corridor Agencies (TCA) have preserved Orange County’s scenic beauty and healthy ecosystems while building and operating the largest network of toll roads in California. TCA protects the natural resources of more than 2,000 acres of habitat and, with the help of community and agency partners, have created a connected network of permanent open spaces across nearly 40,000 acres in the county. TCA built the first successful native habitat for a federally listed bird species on a closed landfill. Transformed a narrow concrete drainage ditch into a thriving wetland and coastal sage scrub community that serves as a major wildlife corridor. And built a state-of-the-art and award-winning wildlife fence to keep drivers and area wildlife safe along The Toll Roads. Visit TheTollRoads.com/Environmental to learn more about these and all of TCA’s environmental initiatives in a new report laden with photos highlighting the beauty of the places TCA protects and showcasing our award-winning achievements over the past two-and-a-half decades. This past fall, a long-standing dispute over the once-proposed Foothill-South Toll Road in South Orange County ended with a landmark agreement between the Foothill/Eastern Transportation Corridor Agency (F/ETCA), California Attorney General Kamala Harris, the Save San Onofre Coalition, the California State Park and Recreation Commission and the Native American Heritage Commission. Environmental and government leaders have hailed the agreement as a positive end to a lengthy fight over protection of open spaces including San Onofre State Beach and the Richard and Donna O’Neill Land Conservancy. 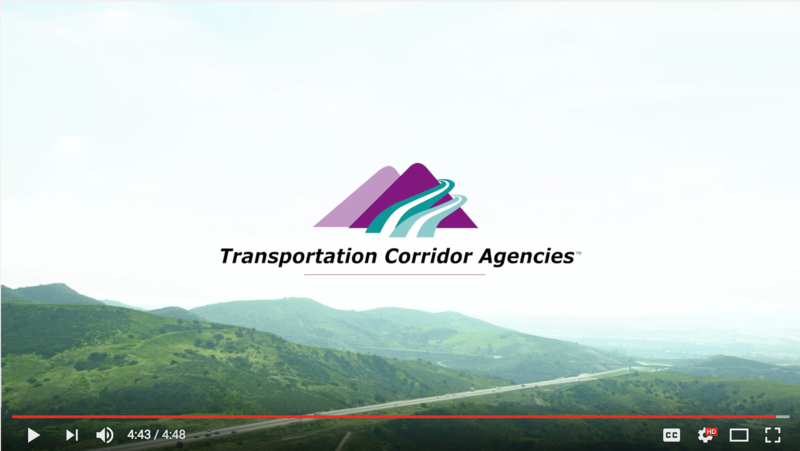 Watch the video to learn more about the agreement, which allows TCA to move forward in considering several transportation solutions while protecting sensitive lands and cultural resources within the San Mateo Creek watershed. LA Chamber: ACCESS Washington, D.C.